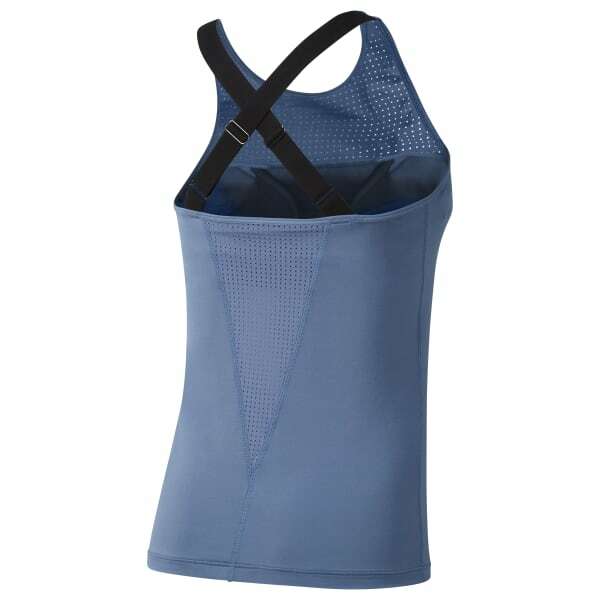 This stretch jersey long bra for LES MILLS workouts is designed to keep you supported during any high impact activity. The internal mesh panel shelf bra is there for high level support while removable cups and adjustable elastic straps allow you to fine tune for your perfect fit. Breathability and comfort come via zoned perforations and flat-lock stitching. LES MILLS front graphic makes a subtle statement.